People who grew up around the safeness and boring aspects of Volvo may be surprised to find out that the new 2014 Volvo S60 is anything but boring, although it does maintain a special level of safety that Volvo is famous for. The redesigned S60 offers a timeless design that kicks the boxy aspects of Volvo to the curb and goes with a more aesthetically appealing look. The 2014 Volvo S60 rates above average in the premium sedan class when it comes to its exceptional performance. It has 250 horsepower that allows it to quickly accelerate, but it offers an excellent brake system that can stop nearly on a dime. It is strong on back roads and on highways where it can reach high speeds and still be able to effectively navigate turns. In 2011, Volvo updated the looks of many of their sedan models to fit with the new norms associated with exterior design. The 2014 is one of the most modern with small tweaks done to the outside. It has sleek lines and a smooth finish, with various color options to choose from. The exterior of the S60 was not the only thing to get big updates in 2014, the interior of the 2014 Volvo S60 is roomy and luxurious at the same time. The seats are large enough for even larger people to fit in and offer an ergonomic design that makes the ride much more comfortable. Volvo has always been known for its attention to detail when it comes to safety features. The company did not skimp on anything in their 2014 Volvo S60. The car ranks a 10 out of 10 for overall safety features. It comes base with safety features such as side head airbags, daytime running lights, blind spot monitor and lane departure warning. This vehicle comes in several different options that all have automatic transmission for easier handling and driving abilities. The base model is a FWD and comes with many extra options that would not normally be seen on a base model car. It is also available in AWD models and ones that have the capability of up to 300 horsepower. Many newer cars make their technology panels slightly overwhelming with unnecessary controls and overly ambitious display screens. The 2014 Volvo S60 does not overwhelm and will help drivers have an easier ride. It comes standard with premium controls and has options such as a non intimidating 7 inch display screen and navigation system. It also has technology options available such as premium surround sound. 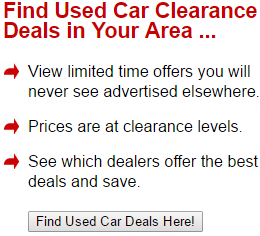 When shopping for an affordable sedan, many people do not consider Volvo an option. It is a premium car that is made for luxury and safety so many people do not consider the price. 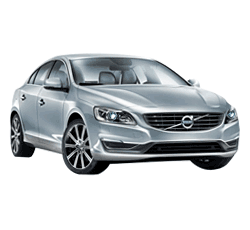 The 2014 Volvo S60 is very affordable with base models starting at around 31,000. Other options can bump the price all the way up to 43,000, but many people will understand that this higher price is for better options. The 2014 Volvo S60 is excellent in its class on fuel economy. With highway MPG reaching up to 30 in some models, it is a nearly perfect option for someone that is looking for an affordable, traditional sedan that has great gas mileage. While Volvo remains ever infamous for having expensive parts and repairs, the company is working to make that better for its drivers. The 2014 Volvo S60 is affordable to fix, but drivers will not have to fix this car as often as they would other vehicles in its class. Volvo makes their cars to be reliable and to last, cutting down on repairs. Along with various model options, the 2014 Volvo S60 comes with many different options for trim packages that increase the comfort, safety and reliability of the vehicle. With premium trims offering the best of the best, the S60 seems more like a luxury sedan as opposed to a premium sedan. While many people are perfectly happy with an automatic transmission, there are still many who are looking for a manual. If you want a manual transmission, the 2014 Volvo S60 is not for you. In all model options and trim options, the vehicle only comes with an automatic transmission. While other vehicles in its class, such as the BMW and Audi models, use 8 cylinder engines, the 2014 Volvo S60 only uses 6 cylinders to create the power. While it has enough to get by, and have fun, it is not as powerful as other premium sedans. One thing to keep in mind, the fewer cylinders give way to better fuel economy. The 2014 Volvo S60 comes standard with plenty of extras that make the drive easier, more comfortable and more fun. If you are looking for a base model that offers very little in the way of luxury, the 2014 Volvo S60 is not for you.